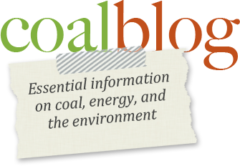 Update: 7-29-11 – On November 30, 2010, I published a post by the American Coal Foundation discussing a cooperative program between that organization and Scholastic. This article was the source of some controversy over the production of educational material. Therefore, at the request of the author, and in recognition that Scholastic is no longer publishing the book at the center of the discussion, I have removed the text of the original post.